The MOBOTIX Q25 security camera is one of the most versatile outdoor cameras ever manufactured. MOBOTIX cameras have long been associated with quality, but the hemispheric lens security camera was a paradigm shift. 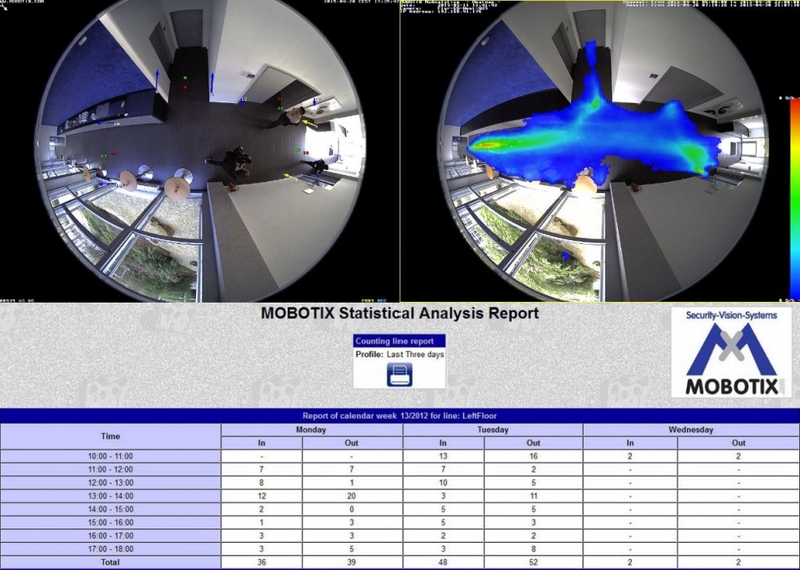 A single ceiling-mounted MOBOTIX Q25 camera, provides 360 degrees of high quality surveillance imagery without the need to mechanically move the camera, resulting in a more stable platform and a 9 year average time before failure. MOBOTIX were the first to manufacture hemispheric lenses for security cameras, as well as the first to come up with a free software solution for de-warping the image. No competing cameras quite match this level of coverage and image quality for hemispheric video. MOBOTIX is also the only camera manufacturer that handles the de-warping in-camera instead of sending the video to a DVR to be processed. This in-camera image technology drastically lowers bandwidth needs. One MOBOTIX Q25 security camera functions independently without the need for a DVR thanks to its in-camera processing chip. 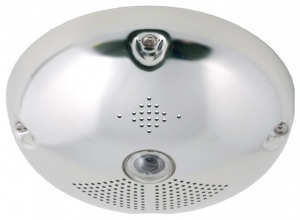 The MOBOTIX Q25 security camera is an outdoor hemispheric surveillance option from MOBOTIX. The 6 megapixel camera supports 30 frames-per-second streaming video at an HD resolution of 1280×720, this model alone covers, records and streams what many security camera setups require multiple low-resolution cameras to accomplish. The Q25 can optionally be managed from any iOS, Android, or Windows device and also has the option of having a vandal proof housing in matte or polished steel finishes. MOBOTIX understands that moving parts eventually break down and require repair which is why they opted for a no moving parts platform in all of their security cameras including the Q25. By eliminating motorized pan, tilt, and zoom, the risk of parts failure is much lower. The fixed hemispheric lens simply covers so much space at once, at such a high-resolution, that it is unnecessary to mount several cameras with a MOBOTIX camera solution for your space. The new MOBOTIX Q25 security camera with its oversized 6 megapixel sensor has an outstanding increase of light sensitivity of more than 100-times than the former 3MP cameras. The monochrome version reaches even a 300-times higher sensitivity than the previous series. Instead of one full second of exposure time the new 6MP systems can select only 1/100 s which results in capturing even fast moving objects in low light conditions. Operation is simple. Users can have the Q25 write data to a standard PC/server of any size without additional recording software, and an internal DVR writes to the included 4GB MicroSD card as a second option which is expandable up to 200GB. The camera can save to your network attached storage as well as the SD card simultaneously. Should the connection to the storage device be compromised the camera continues to write to the SD card and will seamlessly save footage to your larger storage when the connection is re-established. The camera can record the full image even if digital zoom is being used. Hemispheric security cameras from MOBOTIX also have built-in analytics that can count people and track movements over time. This is a camera that can apply to almost any setting, from the headquarters of Specialized Bicycle Components to the London Underground. For locations that need coverage with a shorter setup time and more coverage with fewer cameras, the Hemispheric Q25, with other MOBOTIX cameras, is a great choice. You can learn more about how MOBOTIX security cameras can fulfill your security needs here.